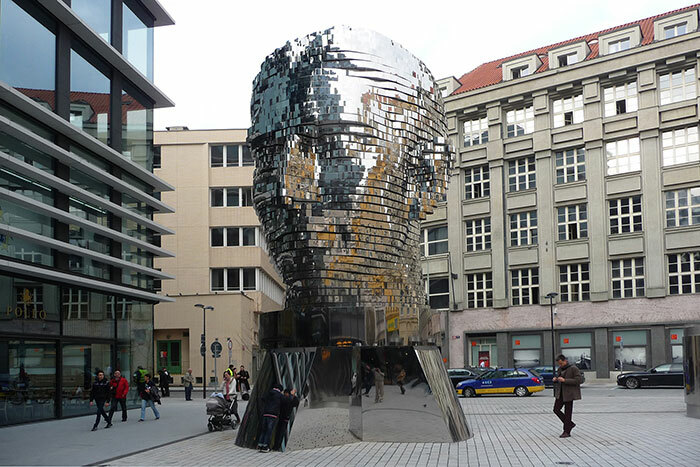 If you're in Prague, check out this moving sculpture by controversial Czech artist David Cerny. 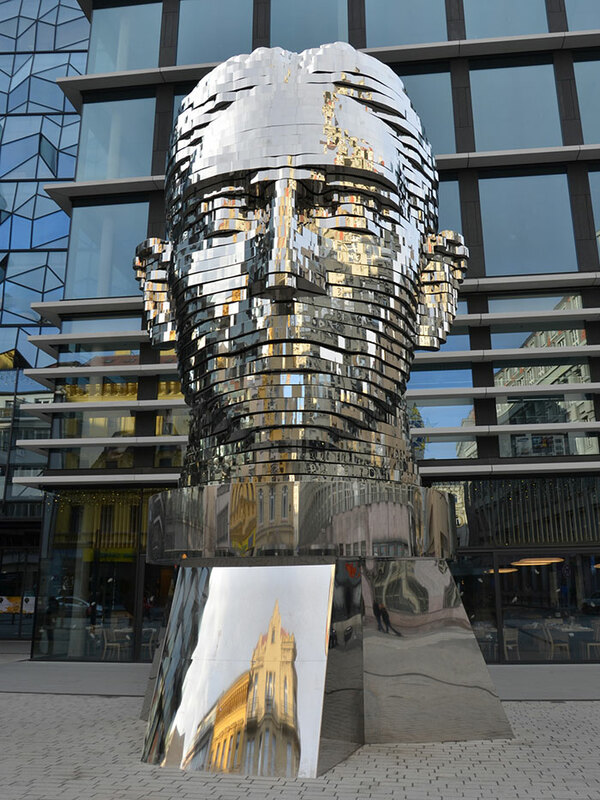 Installed in front of the Quadrio shopping center, the stainless steel bust of Franz Kafka is composed of 42 independently driven layers with each layer revolving at a speed of 6 rpms. The sculpture, which provides a contemporary antidote to the city's ancient grandeur, is meant to be a visual representation of the authors books which twist the readers minds in unexpected and exciting ways. A moving sculpture of Kafka in Prague.